Marvel's MCU is back at it again with the next hero in their long list of movie releases. After making his big debut in Captain America: Civil War, this superhero burst into the scene with one of the most anticipated films of the year. And, it was all worth the hype! The movie we will be discussing today is the action-packed superhero flick: Black Panther. 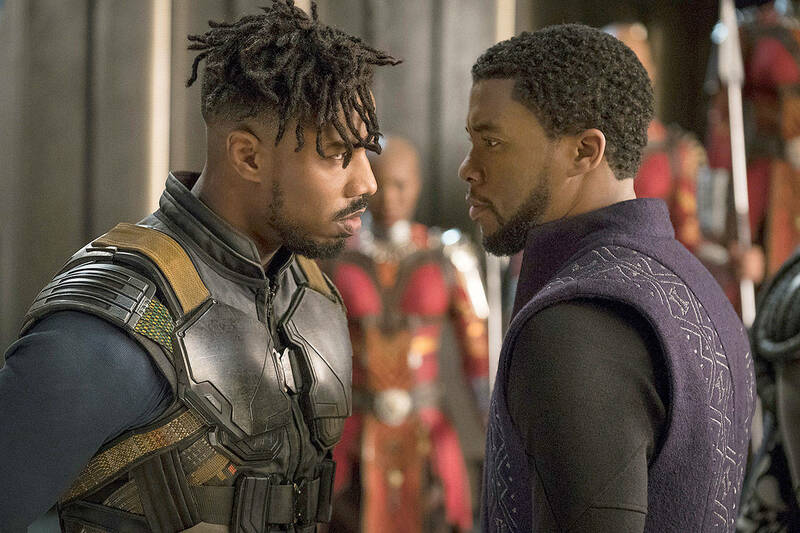 The Plot: After several Wakanda artifacts are stolen from a museum, Black Panther (played by Chadwick Boseman) and his allies' search for the robber leads them to a bigger mystery involving a powerful and deadly mastermind, Killmonger (Michael B. Jordan). Black Panther is one of the best movies to be released by the MCU yet. If I could rate this film higher than a perfect score, I would. T'Challa/Black Panther was an inspiring and fun hero to follow through his adventure. The supporting characters were equally as amazing and well-written, with Letitia Wright, Danai Gurira, Lupito Nyong'o, and Winston Duke being some of the best additions to the MCU. In fact, every performer featured in Black Panther stood out as a great addition to the series! When it came to the villain, Killmonger might be one of the best villains in the MCU. The only downside, however, was the strange plot treatment to Okoyo's (Danai Gurira) love interest - the story should have stuck to what was originally written in the first draft. If you like action films (or superhero films in general), you should check out Black Panther.